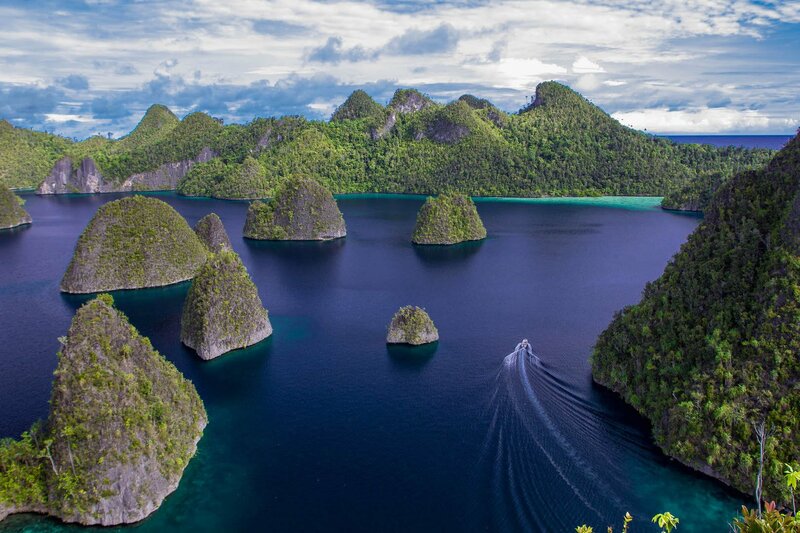 Withe and from this beautiful liveaboard you can sail and dive into the southern waters of the Raja Ampat National Park. Departure and arrival place is Sorong in West Papua. Let yourself be pampered by the crew and be amazed by the beautiful sea gardens. 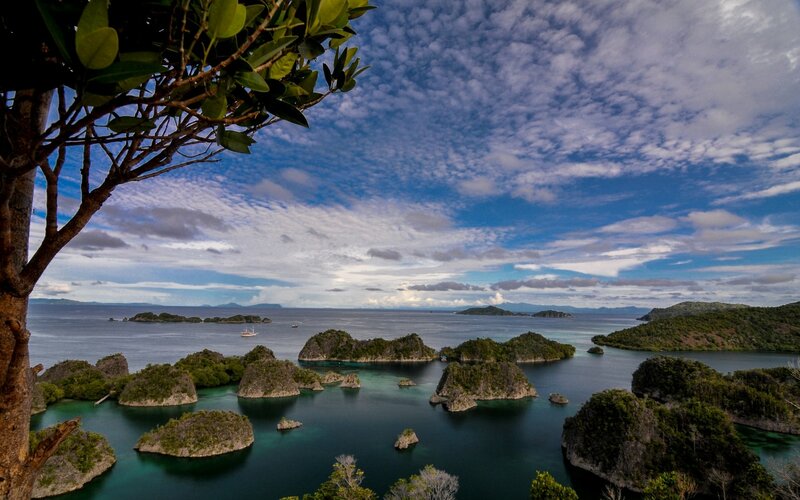 Raja Ampat is the ultimate area for divers. With hundreds of known dive spots and even more unknown, this archipel offers more than you can see in one week. On board of the Lady Denok, you will discover all of it. Ontbijt, lunch en diner. Luxe hut met airconditioning, eigen douche en toilet. Frisdrank, water, thee/koffie. Handdoeken, duiken volgens programma, excursies op land, Europese cruise leider, transfer van of naar het schip. vluchten, alcoholische dranken, frisdrank, fooien (ca. € 10,- p.p.p.d. ), Complete duik uitrusting (€ 35 per dag), Havengeld & National Park entreekosten (€ 115,- p.p. contant te betalen als u aan boord gaat). 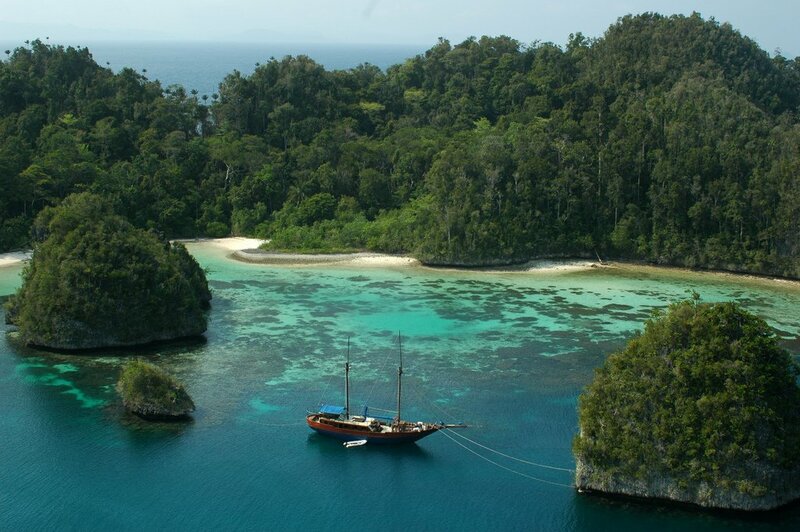 We will go on your new home for the next days and check you in, into your cabin on Lady Denok Phinisi. During a welcome drink we sail to our main destination ‘Misool Island’ where we will sail and dive around the small islands of Dara, Warakaraket, Wayil and Wagmab. You will dive steep walls, caves, drop offs and see the most beautiful soft and hard corals, sponges and hundreds of different fish. From different kind of sharks, and manta rays to small macro stuff. Misool offers all of them.